১৯ শতকের আগ পর্যন্ত উসমানীয় গদ্য সাহিত্য দিওয়ানের মত উন্নত হয়ে উঠেনি। এসময়ের সাহিত্যে ননফিকশন ধরনের গদ্য রচিত হত। . 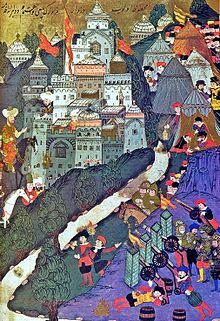 ↑ The Ottoman Turkish rendition of the city's name was Kostantiniyye (قسطنطينيه), i.e. 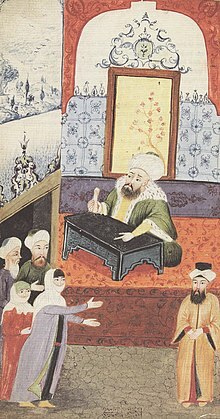 replacing the suffix -polis with the Arabic nisba. 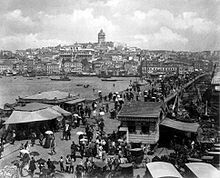 The city's official name was changed to Istanbul by the Republican Turkish government, on March 28, 1930. 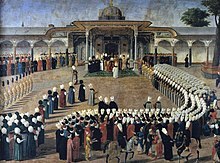 ↑ The Treaty of Sèvres (10 August 1920) afforded a small existence to the Ottoman Empire. 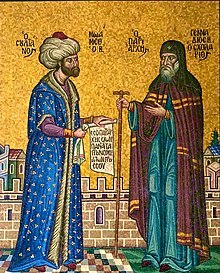 On 1 November 1922, the Grand National Assembly (GNAT) abolished the sultanate and declared that all the deeds of the Ottoman regime in Istanbul were null and void as of 16 March 1920, the date of the occupation of Constantinople under the terms of the Treaty of Sèvres. 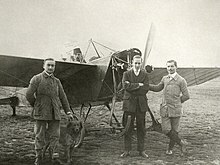 The international recognition of the GNAT and the Government of Ankara was achieved through the signing of the Treaty of Lausanne on 24 July 1923. 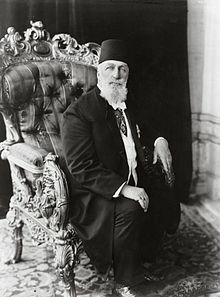 The Grand National Assembly of Turkey promulgated the "Republic" on 29 October 1923, which ended the Ottoman Empire in history. 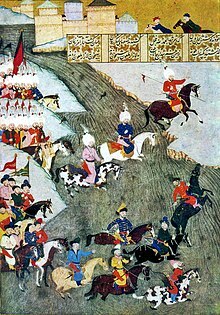 ↑ Starting from the 19th century, the name Osmanlı Devleti (Ottoman State) became popular among the Ottoman citizens and officials. 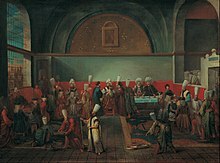 Before the 1800s, the name Osmanlı Devleti was not officially used, but records show this name was used informally by Ottoman citizens. ↑ A lock-hold on trade between western Europe and Asia is often cited as a primary motivation for Isabella I of Castile to fund Christopher Columbus's westward journey to find a sailing route to Asia and, more generally, for European seafaring nations to explore alternative trade routes (e.g. K. D. Madan, Life and travels of Vasco Da Gama (1998), 9; I. Stavans, Imagining Columbus: the literary voyage (2001), 5; W.B. Wheeler and S. Becker, Discovering the American Past. A Look at the Evidence: to 1877 (2006), 105). 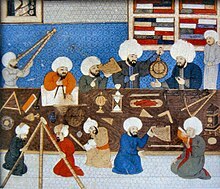 This traditional viewpoint has been attacked as unfounded in an influential article by A.H. Lybyer ("The Ottoman Turks and the Routes of Oriental Trade", English Historical Review, 120 (1915), 577–588), who sees the rise of Ottoman power and the beginnings of Portuguese and Spanish explorations as unrelated events. His view has not been universally accepted (cf. K.M. 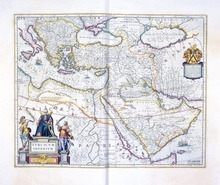 Setton, The Papacy and the Levant (1204–1571), Vol. 2: The Fifteenth Century (Memoirs of the American Philosophical Society, Vol. 127) (1978), 335). ↑ Joel Shinder, "Career Line Formation in the Ottoman Bureaucracy, 1648–1750: A New Perspective," Journal of the Economic & Social History of the Orient (1973) 16#2 pp 217–237; Shindler is a dissenter. 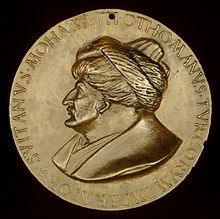 ↑ Jonathan Grant, "Rethinking The Ottoman "Decline": Military Technology Diffusion in the Ottoman Empire, Fifteenth to Eighteenth Centuries," Journal of World History (1999) 10#1 pp 179–201. 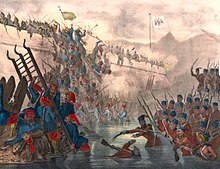 ↑ Jelavich, Charles; Jelavich, Barbara (১৯৮৬)। The Establishment of the Balkan National States, 1804–1920। পৃষ্ঠা 139। আইএসবিএন 9780295803609। . ↑ Matthew J. Gibney; Randall A. Hansen (৩০ জুন ২০০৫)। Immigration and Asylum: From 1900 to the Present। ABC-CLIO। পৃষ্ঠা 437। আইএসবিএন 978-1-57607-796-2। সংগ্রহের তারিখ ১১ ফেব্রুয়ারি ২০১৩। Muslims had been the majority in Anatolia, the Crimea, the Balkans and the Caucasus and a plurality in southern Russia and sections of Romania. 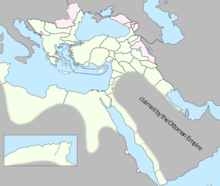 Most of these lands were within or contiguous with the Ottoman Empire. By 1923, only Anatolia, eastern Thrace and a section of the south-eastern Caucasus remained to the Muslim land.